Reviews of the Sony A7 from around the web. When the Sony Alpha A7 first materialised we were really rather excited. The first compact system camera with a full-frame sensor to surface in the market, it answered a question so many had been waiting for. Big sensor, small size, affordable price. Upon first inspection the A7 seemed to have it all. Up until recently CSCs hadn’t been able to incorporate full-frame sensors, but Sony has finally managed to achieve the marriage with its new Sony Alpha 7. Not only is the Sony Alpha 7 now one of the most compact full frame cameras available, but it’s also one of the most affordable, and on paper at least it presents a very real threat to some major DSLRs. The introduction of the Sony Alpha A7 and A7R sees Sony introducing the World's first full-frame mirrorless cameras (excluding digital rangefinders), and with the Sony A7R, they are also claiming the World's smallest and lightest full frame mirrorless camera. The Sony Alpha 7 (ILCE-7) is available for just under £1300 body only, or £1549 with 28-70mm kit lens. Well, to all of you who are confused, let me ease your mind…the A7 is just as good of a camera for 99.2% of users as the A7R is. You will lose nothing and may even gain some by shooting with the A7 over the A7r. But I will get more into this later on..for now, let me get back to my talk about Sony being revolutionary in the camera world..because they are really the only ones who are at the moment with Olympus right behind them. 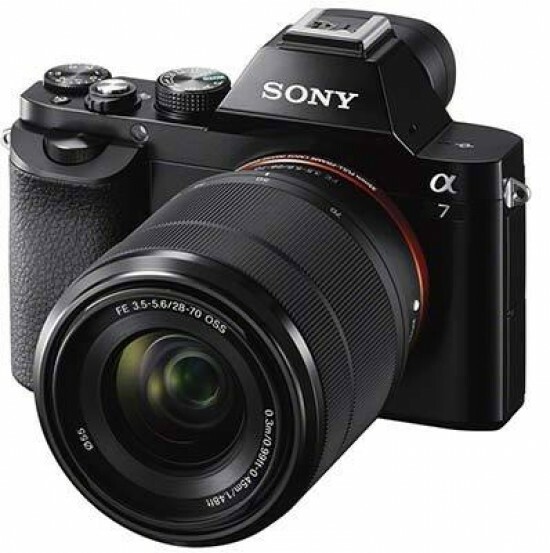 The Sony Alpha A7 is a mirrorless system camera with a full-frame sensor. Announced in October 2013 alongside the higher-end A7r, they are the World's smallest and lightest full-frame mirrorless system cameras; note Leica has long offered its M series with full-frame sensors and interchangeable lenses, but they're larger, heavier and manual focus only. Sony also has its own full-frame RX1 and RX1r compacts, but while they're mirrorless, they don't have interchangeable lenses.